This is a square Beaver-Penn Motor Oil porcelain sign. This particular Beaver-Penn Motor Oil sign is yellow and black. 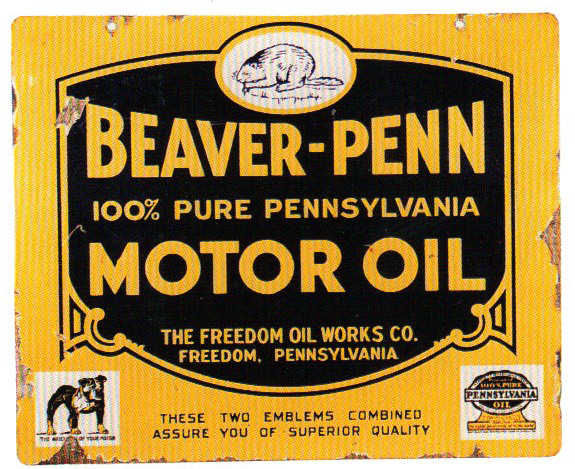 It reads, “Beaver-Penn Motor Oil 100% Pure Pennsylvania, The Freedom Oil Works Co., Freedom, Pennsylvania, These Two Emblems Combined Assure You of Superior Quality” and features a small bulldog in the lower left corner.